Trucking is a very rewarding career that offers drivers a special opportunity to explore a wide variety of experiences while on the road. Audible provides truck drivers and all professional drivers with an entertainment media platform suitable to accompany them while being away for weeks at a time. More and more drivers are taking advantage of this useful service every day and for good reason. 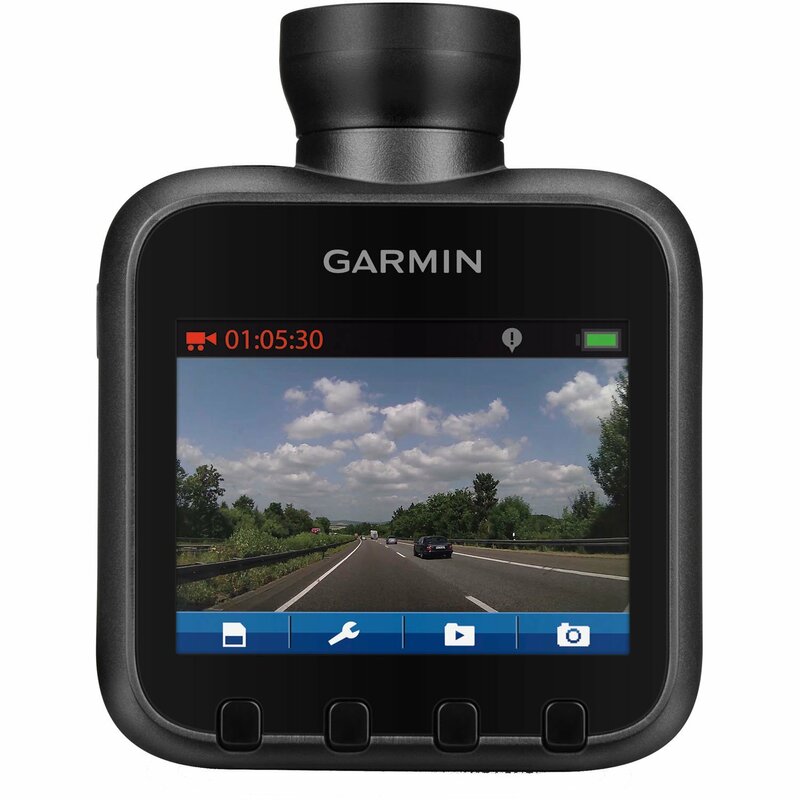 Simply said, it is excellent way to make driving purposeful, progressive, and extra productive. Audible is a spoken audio entertainment company founded in 1995 by Donald Katz. His business idea evolved from using cassette tapes on portable listening devices while doing other activities. 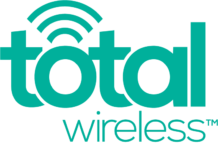 Katz wanted to bring digital audio files to any listener anywhere in the world via the Internet. In 2007, Audible teamed up with Amazon to gain access to thousands of books digitally. Audible then became the household name in digital audio spoken books. Audible lets millions of readers access the Amazon audio book database via a monthly membership program that offers many benefits. As a member, you’ll have access to over 180,000 titles from a wide variety of genres, and Audible offers 30% off on audio books. Genres include fiction and nonfiction, history and classics, biographies and memoirs, mysteries and thrillers, business, self-development, and many others. They even have an exchange policy, so if you do not like the book you’ve purchased, you can exchange it for another absolutely free. 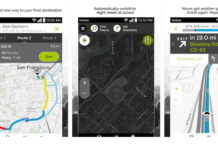 The program is also completely mobile, which means you can access it on your mobile device anytime and anywhere—say if you were driving on the road for weeks at a time. To become an Audible member is very easy. You can sign up online with an Amazon account, and if this is something you don’t have already, you can easily just fill out an online form. 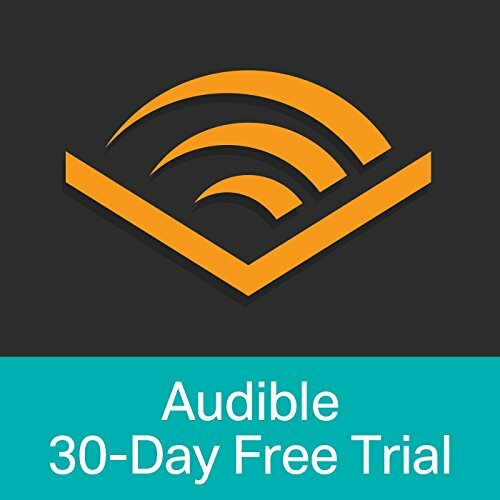 Once you’ve signed up for Audible, you can try their trial membership, which gives you a free book to try out for a free month. If you like the service so far, you can go ahead and sign up for one of the membership plans. There are four main plans at the moment: two are monthly plans while the other two are annual plans. The Gold Monthly membership plan gives you 1 audiobook credit at the rate of $14.95 per month. The Platinum Monthly plan gives you double that with 2 audiobook credits at $22.95 per month. The Gold Annual membership will give you 12 audiobook credits for the whole year, while the Platinum Annual membership will give you 24 audiobook credits. The pricing for the annual plans are $149.50 and $229.50 respectively, per year. 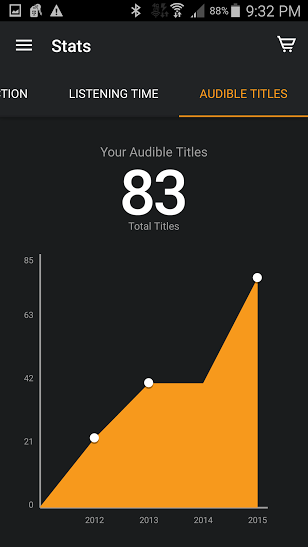 It’s important to understand how Audible’s membership plans work. They go by a credit system, where you can purchase books using credits you have purchased with your membership. Physical hardcover books these days typically sell anywhere from $20-$30 as a new release. 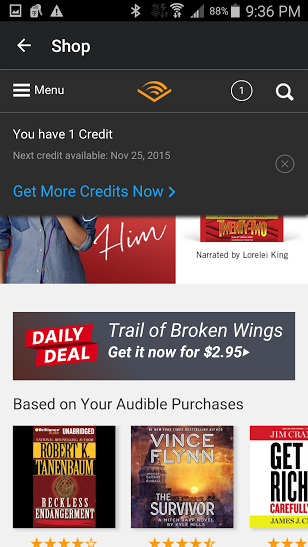 Most of Audible’s audiobooks sell for 1 credit, and since you will be paying for these credits at a set price, you’ll almost always be purchasing books at a discounted rate. Here is an example: If you want to purchase an audiobook that typically costs $32, you will only need to use 1 credit that you’ve only paid $14.95 for under the Gold monthly membership plan. That’ll save you a great deal of money. Ready to give it a try? Sign up for audible here! In addition, Audible offers plenty of other features that come along with your paid membership. After having been a member for 3 months, you will be allowed to purchase additional credit packs in case you want to read more books every month. These credits will never expire as long as you have a current membership. Also, if you ever find yourself with extra credits, you can roll these over to the following month after your membership renews. Although there are limits to these roll overs, this feature still comes very handy for times when you aren’t able to use up the credits you’ve paid for. 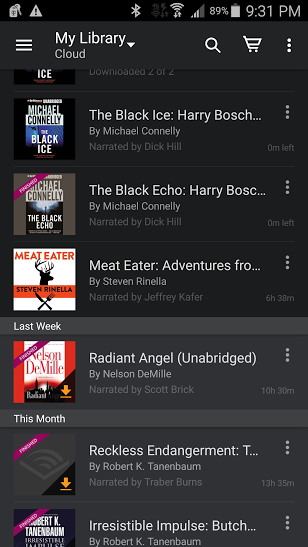 Audible also lets you make the most out of your audiobooks by allowing you to share them. With Family Library Sharing, members of your immediate household that are in your family account can share all the books that have been purchased. These books will be accessible in an online library. Currently, Audible is also beta-testing another sharing platform called OneBook. With OneBook, you can recommend your favorite audiobooks to any 10 of your family or friends for free. The first book they like is then free for them to redeem. These features are among the many other benefits of using Audible. Having an Audible membership can be truly beneficial to truck drivers, who are constantly on the road. For the most obvious reasons, it’s impossible to take advantage of any reading materials while you’re on the road. And this is besides the fact that you might not like reading in the first place. Audible allows you to extort all the benefits you can reap from reading without the strain and effort associated with it. 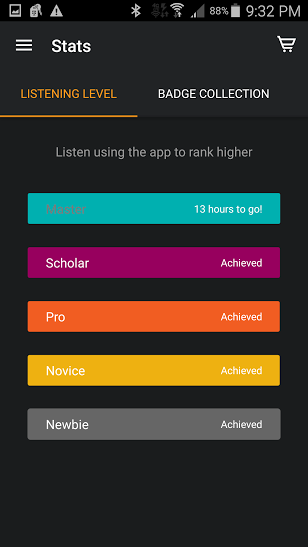 Audible teaches you how to listen and how to it with intent. All of Audible’s audio books are recorded with excellent quality and with professional expressionism. They make sure the books you listen to are lively and entertaining. 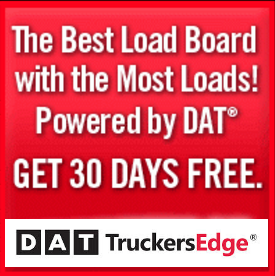 This brings us to another benefit a truck driver can get by having an Audible membership. Its entertaining prospects are endless. You literally have stories upon stories to revel on while driving for hours on end. It’s like having your own personal storyteller to make you laugh when you need humor, to charm you when you’re feeling good, to distract you when you’ve got so much in your mind, and to challenge you when you are feeling not quite up to the task of traversing the endless roads. Having Audible at your fingertips can help reduce stress tremendously. Traffic will not cause as much burden if you are engaged in a best-selling thriller. Chances are, if you are so engrossed in an author’s work, you’ll hardly notice any trucking-related delays that you can’t immediately deal with. Audible allows a truck driver to be absolutely absorbed in another dimension while still completely and fully aware of his surroundings. Listening to Audible’s audio books will turn your work into more than just a driving job but rather a productive learning experience. There is no limit to the amount of personal development you can achieve by listening to as many books as you can while you’re on the road. If given a chance, Audible can really change a truck driver’s life. There are tons of motivational audio books that can spark hope and ignite change. They also offer multiple self-help and how-to titles that cover an assortment of topics you might find interesting. There are books that can teach business, finance, investing, marketing, or any other pursuits you might have thought of before. As a truck driver, you have plenty of listening time at your disposal. Filling that time with productive material can be the most rewarding thing you can do for yourself as a truck driver. You should never judge a book by its cover. That’s the infamous adage that has changed millions of lives in the past, by teaching people how to look beyond and discover worlds of possibilities in between pages. Books can provoke deep emotions and thoughts, unleash unfamiliar feelings, and uncover many wonderful sentiments you might have never had before. After all, words have the uncanny ability to transfix and transform people. And there is nothing more astounding than the power of the spoken word. With Audible’s technology, any truck driver can avail of all these possibilities. Audible is nothing but another road, a better one. It leads you to your destination and provides you with tons of excitement, fun, and discoveries along the way. It gets you closer where you ought to be. And as a truck driver, all you would really need to do is drive.